What is a CRM and how can a website integrated with a CRM benefit your business? One of the most important elements of any business is the customer. The business community is well aware of the significance of attracting more customers and maintaining the existing ones. Hence several businesses implement professional tools and use professional practices to maintain a list of their customers, potential customers and those simply inquiring. 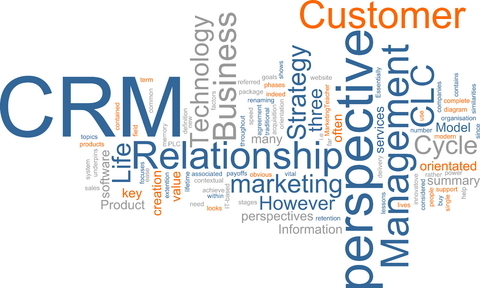 A CRM is Customer relationship management. It is a term that is already widely used in the marketing and advertising world. This includes general practices and strategies that are used by companies to manage and analyse their customer interactions. The main aim being to improve the customer relations as well as driving up sales growth. There are several sources of information for a customer interaction like the company website. A chat via the Internet or a telephone call. It could even be on a one to one basis like direct chat, or main or marketing material or social media. A CRM is quite useful for a marketing campaign or when information is required regarding purchase history or personal information for a customer. Such information is also used to provide the customer a more customised and personal experience. Affects the decision making since a CRM keeps you well informed with real time data across all business areas. Enforces the correct time management principles since a CRM automates several routine and important events. It also provides prompts and reminders for the same. Places the lead generation on steroids. Lead generation is important to any business and implementing via a CRM make sure there is a much higher quality of lead generation. The pipeline reports are a trusted source of information and influence the future sales, production and general forecasts for better efficiency. High performing elements can be easily spotted thus enabling the organization to devote more resources and focus to them. Valuing the clients becomes easy with a CRM providing the perfect interface and source for information and even presenting it in a correct manner. Automation is possible with implementing a CRM using technology and this makes tasks easier since it replaces the manual and repetitive tasks. Having a more satisfied customer is always what every business dreams off. A CRM can help you provide a better customer experience. The most important for any successful endeavour is good communication. A CRM can help improve this tenfold. Backend processes that require a lot of accurate data can retrieve their data from a reliable source like the CRM, thus making it easier for them to manage. Implementing a CRM on a website is easier than you can imagine. Almost every website will have contact form that takes feedback from the visitors and either emails it across to the business owner or manager or stores it in a database. A CRM is something that fits in between this process such that it records vital information regarding the customer. Such kind of an implementation is often referred as a Web to lead form. Alakmalak is of the few web development firms in India who have achieved the goal of having successfully completed more than 2000 websites in their first then years. They have be around since a while and hence have a great deal of experience and foresight in the matters concerning the World Wide Web. Besides making sure the website visitors are more than satisfied with they find; Alakmalak is also involved in website optimisation, even from the SEO perspective as well mobile application development. Being a multi technology solution provider has worked to the benefit of the firm and makes sure that the client is always satisfied. The reason being that there are always plenty of resources available in the firm which is complemented with the facilities and infrastructure that are constantly expanding and evolving. There have been many companies that have benefited in one way or the other by implementing a CRM, for example Mathusek, ScotiaMcLeod, W&O Supply are few of well companies that have been able to capitalize on a CRM. Each of these firms benefited in some way or the other by standardising their sale process, increasing their productivity, increase the accuracy of sales forecast and improve customer relations.